In the many years since we’ve started educating and helping shoppers find their perfect diamond ring, one trend has been consistently clear – the large majority of clients and readers end up with James Allen diamonds. How do we know? Well, for one, we keep stats and our readers often share their feedback with us once they’ve popped the big question and the secret is out. The other reason is that we, as diamond advisors, are always drawn back to the James Allen website as the selection and features of the site are the closest we can get to mirror buying a diamond in a retail setting. This seemingly underwhelming statement doesn’t mean much to new buyers but rings a bell with seasoned shoppers who have run the gauntlet of different diamond websites and vendors. 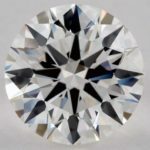 With luck, this review of James Allen will help provide context into the statement and share with you why James Allen diamonds is one of our favourite online diamond retailers. Having walked countless shoppers through the James Allen buying process, we’ll share some of the unique elements that will help you navigate the waters in your search. 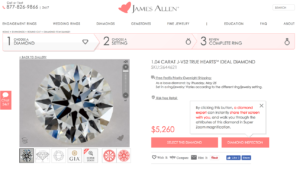 First off, the buying process at James Allen is pretty similar to what you’d expect with other leading diamond retailers like Brian Gavin Diamonds, Whiteflash, Blue Nile, Ritani, and Diamonds USA. There are, however, a few differentiators that help create an above average shopping experience. Clicking on any of the images will bring up the diamond product page to illustrate the shopping experience. Like Blue Nile, James Allen employs a “drop ship” business model with a slight variation. In a traditional drop ship model, diamond vendors don’t keep inventory in stock but rather keeps an inventory which is 100% virtual. In other words, the diamonds in the virtual inventory are stored at different suppliers found throughout the world. When an order is placed, the diamond is packaged and shipped directly from the supplier to your doorstep. This is a highly effective business model as it eliminates the overhead associated to retail stores and shares the cost savings with the customer in the form of lower diamond prices. The fact that retailers don’t have to pay for staff, retail space and inventory is one of the reasons why online diamonds are typically less than 1/2 the price of what you’d find in a retail store like Birks or Tiffany. As mentioned, James Allen uses a slight modification in their drop ship model. The key to their success is that James Allen diamonds are still sourced from suppliers but those suppliers are found in and around the James Allen operations and fulfillment office in New York City. Not surprisingly, NYC is also a diamond exchange hub which helps support the model. One thing you’ll quickly notice as you browse different diamond sites is that sample diamond images don’t exist with James Allen. This is another key differentiator that makes the shopping process much easier and more like buying a diamond in person (which in all honesty can be a lengthy and overrated process). 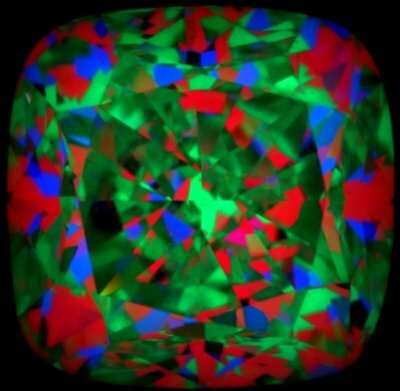 Some sites have real diamond images. If you’re lucky, they’ll also have 360° videos like Brian Gavin and Whiteflash. However, you’ll often see two dreaded words – “sample image”. As a industry insider, my advice is to immediately move on to the next stone. After all, why take the chance of buying a diamond you can’t see when there are thousands other you can see? James Allen understands this philosophy which is why their inventory is rigorously photographed at each supplier which in turn supports a website so rich in diamond images and videos. Every diamond on their website comes with the ability to view it at magnification, super magnification and in 360° video. This is extremely useful when buying smart at the lower end of clarity and picking an eye-clean diamond after examining it from every angle. Now that you know the backstory, let’s get back to the buying experience. With most vendors, once you find a stone you’re happy with, you add it to cart, checkout and you’re done. With James Allen diamonds, you get a few more options! One of the real advantages we’ve found over the years working with shoppers buying from James Allen is sometimes being proven wrong. This is a GOOD thing! 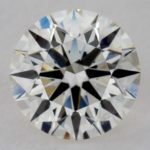 Despite all the information available online about a diamond, the best way to make your final selection is still to view the actual diamond (advance diamond buying guide for more). This is even more helpful if you can view the diamond side-by-side with other high performing diamonds. When we put a top 3 list of recommendations together for our readers, we ALWAYS recommend getting an opinion from the available gemologist who has access to the diamond. In some cases, the gemologist confirms our #1 pick is the best from the set of James Allen diamonds. In other cases, we’re happily proven wrong but our reader still walks away having purchased the best performing stone. This makes us (and the ladies) happy. These are 3 cushion cut stones we recommended to reader Tom. Our top pick was diamond 1 but the gemologists pick was option 2! So, at this point you’re wondering why the whole backstory about drop shipping. The reason is that when a set of diamonds is put on hold, James Allen staff can physically walk over to their suppliers and pick up the stones in person and bring them back to the James Allen office. This is where additional images (ASET, IdealScope) images can be take and, more importantly, where the gemologist can conduct a side by side by side comparison on the diamonds to advise you on the best one, eye clean and performance traits. Again, this information is hugely valuable when making your buying decision and gives you peace of mind knowing you’ve make the right choice in the eyes of a professional. I am happy to tell you that the gemologist found both diamonds to be very lively options! They both possess an excellent amount of brilliance (white light return), fire (dispersion of color) and sparkle that is well balanced and symmetrical. They are both “eye clean” and are true “J’s” in color (meaning that they face up a nice white). His personal favorite of the two was the 2.20 carat-J-SI1 (diamond 267595; $16,940); as he found it to have less body color than the 2.32 carat-J-SI1 (diamond 290823; $18,300). However, the untrained eye would not be able to notice that color difference. This is a feature that’s been available for quite some time on the James Allen website (to be honest I’m surprised more retailers haven’t adopted this trend). As someone who easily combs through several dozen diamonds putting together a recommendation for readers, this is the feature we use most. 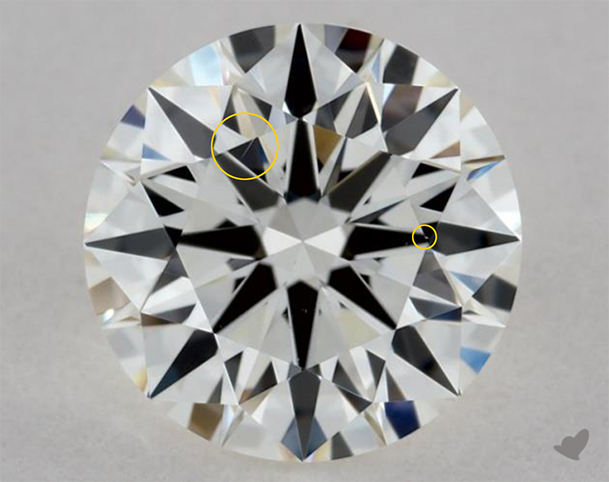 Zooming brings the advantage of viewing the diamonds at high magnification and checking if inclusions are still visible at lower magnification. This is helpful in determining eye clean. When comparing diamonds on the site, it’s often very helpful to put two diamonds side-by-side in separate windows and zoom out just over half way on the 360 videos for each James Allen stone. 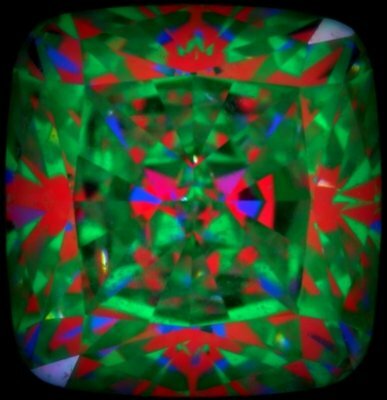 This partially zoomed out perspective is a great way to see which stone has stronger scintillation (sparkle) and fire (color) without being distracted by the size of the diamond on screen. This is a relatively new and simple feature – one which saves time from manually jotting down details in spreadsheets. Diamonds can be added to the compare clipboard for more in-depth review or saved for a later session. We often use this feature when doing a first pass at potentials stones by adding them to the compare list and then removing them as we weed out based on performance or other traits like finish, symmetry or cut angles. At times, the opposite is true and the super zoom feature (requires login [free]) comes in handy to tease out any pinpoint inclusions that aren’t clearly visible in the normal diamond image or 360 videos. In the normal diamond image, the inclusion on the table is almost invisible. Viewing it in super zoom clearly confirms it’s presence. At the time of this writing, the count of James Allen diamonds (colorless and fancy color) was over 125,000 – all viewable in 360° HD. 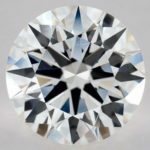 Having spent several years combing various diamond sites, one thing we’ve noticed is that while some retailers specialize and carry stones of higher carat weights or few numbers of specialty cut shapes, James Allen carries a broad range of stones to accommodate those with smaller budgets to those with larger budgets. Many online diamond retails have successfully added or started to add 360° videos to their websites (Blue Nile being the latest). Despite this, we find the functionality and natural lighting of the James Allen videos to be cleaner and easiest to use. The 360° videos are filmed in such a way that the natural behaviour of the diamond is showcased without any unnecessary additive. 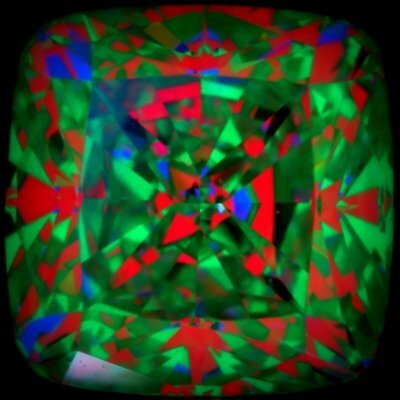 Videos of James Allen diamonds mimic how a diamond looks under natural lighting (which is how it will the majority of it’s lifetime). In contrast, some retailers create 360° videos which showcase high intensity spotlights which generate intense flashes. While mesmerizing, the overly intense light performance makes it difficult to differentiate between two stones and isn’t a good reflection of everyday lighting scenarios. For this reason we like the natural style of James Allen 360° videos. From time to time, we reach out to awesome folks at James Allen Customer Service (shout-out to Maryland!) and have never been let down. Whether it’s early in the morning or late at night, the 24/7 customer service is available to answer questions. In the past, readers have request ASET / IdealScope images and requests have always been follow up with a great thorough and immediate response by the customer service team. As with all things, there is always room for improvement. As a reader making a one-time purchase, we’re calling out a few things we’d like to see from James Allen which should help you avoid pitfalls during your diamond shopping. Buying an eye-clean stone is a key to saving money without comprising on the clarity of your diamond. Some retailers, like Brian Gavin, make it very clear which stones are eye clean. In the case of James Allen, this information isn’t tagged to each stone and so you’re best to rely on a quick opinion from a gemologist or the available 24/7 chat. As always, we welcome feedback from our readers so if there are aspects you’d like to hear more about or questions you need answered, post a comment on this page or send us a note! Also, be sure to check out our other James Allen Review.